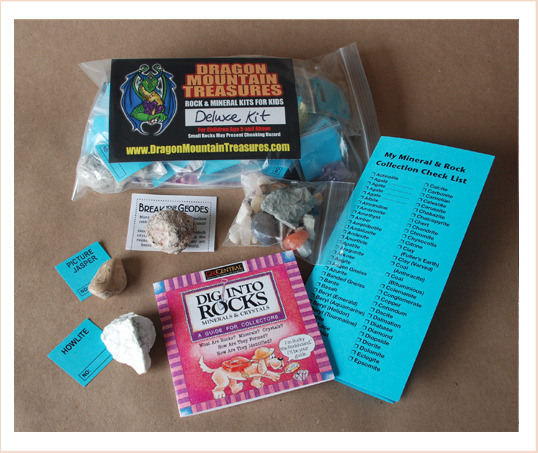 Rocks, Minerals and Fossils for Kids presents kits and supplies for rock crazy kids and children for homeschool, study, science fairs, birthday parties and gifts too! A nice collection of both rocks and minerals, great to hold and examine. Each specimen is bagged and indentified so that you can learn the difference between slate and granite or garnets! 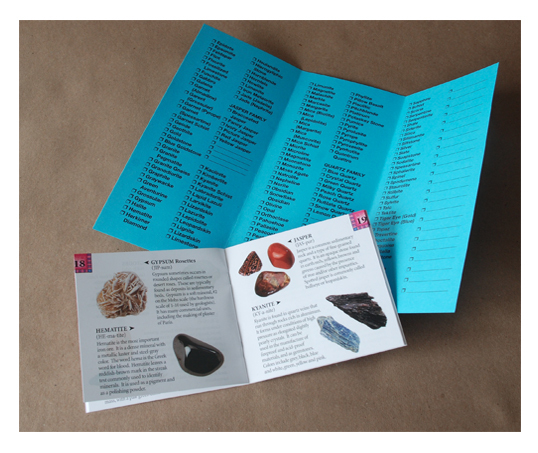 Our Deluxe Kit comes with a handy little guide book to get you started and a checklist of over 200 commonly available rocks and minerals. Also, a little bag of mystery stones to work on and learn to indentify. The Deluxe Kit includes a real geode to crack and open! 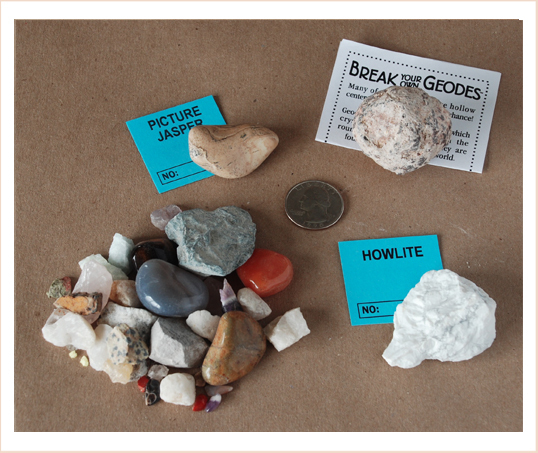 What a great introduction to the world of geology and rock collecting. • Includes a FREE Geode to crack open!